Coldwater Is Home To A More Peaceful Way Of Life - The Way Life Should Be! The scenic vistas of the region were originally enjoyed by the native Comanche and Kiowa tribes, hence the name given to the county. It was the spring of 1884 when four men - George Vickers, Tim Shields, J. Paul Grove and C.M. Cade - set out on a mission to found their own county seat town. The intention was to build the town in the center of the recently established Comanche County. The expedition into the unsettled lands ran into a competing township company with the same goal in mind, but managed to convince one of other group's primary members to join in their team instead. After surveying the site that would become Coldwater, the team came across C.D. Bickford, yet another individual who had designs on establishing a county seat town. He agreed to give up the competition in exchange for the right to name the town in question. Since he was from Coldwater, Michigan, he opted to name the new seat after his hometown. Average high temperatures in Coldwater reach 93 degrees Fahrenheit in July and August, and average lows get down to 20 degrees in January. The monthly precipitation average is just over 2.1 inches, with most falling during the summer months. The annual snowfall average is 19.9 inches. Coldwater, the seat of Comanche county, is in the Red Hills of South Central Kansas. It is served by US Highway 160 & US Highway 183. Our area showcases the 250-acre man-made Lake Coldwater in a 930-acre park all within the city limits. Coldwater is home to the public South Central High School. Students from earlier grade levels can attend South Central Elementary and Middle schools, which are located in Protection, Kansas, a little over 10 miles outside of town. Institutions of higher education within a 2-hour drive of town include Barton County Community College, Hutchinson Community College, Fort Hays State University and Southwestern Oklahoma State University. Comanche County Hospital serves the area's health care needs. Lake Coldwater is located within a 930-acre park. It attracts visitors from all over Kansas and Oklahoma and is a great place for boating, fishing, swimming, birding and camping. The lake is stocked with catfish and wipers on an annual basis. Those with campers and trailers will find electricity and water hookups, and there are also plenty of picnic facilities. Coldwater Country Club is a public golf course consisting of an unusual 10 holes. The nearby town of Protection also offers its own 9-hole Protection Golf Course to aficionados of the sport. Comanche County is among the most popular hunting destinations in the state, and no wonder - there may be more deer in the county than there are people! You can also take aim at an abundance of turkey, pheasant and quail. Interested in learning more about Coldwater? Then contact us today for additional information or to learn about the properties we currently have available. We'll help you discover the home you've been dreaming about. The Gypsum Hills (also known as the Gyp Hills, Red Hills & Medicine Hills) is a region of rolling hills, mesas, canyons and buttes in southcentral Kansas, just north of the Oklahoma border. The area has many red cedar trees and the ground contains iron oxide or rust, hence one of the area's other names, the Red Hills. The area was Medicine Hills to the Native Americans. The stream that passes through the area and near the community of Medicine Lodge is the Medicine River. Much of the most interesting scenery is along dirt roads on the open range. However, if you are unwilling to leave the paved highways, you may still enjoy the drive and views along US Highway 160 between Coldwater and Medicine Lodge, and south along US Highway 281. 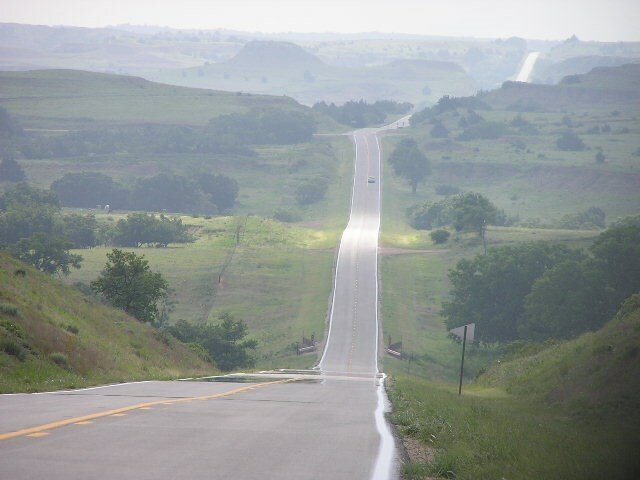 The state of Kansas has designated the 42 mile route, from Coldwater to Medicine Lodge, the Gypsum Hills Scenic Byway. A drive along these roads is likely to be rewarded with glimpses of wild turkeys, pheasant, deer, coyotes, bobcats, raccoons and other wildlife. In addition to the Scenic Drive, other good dirt roads include Sun City/Township Road from US-160 to Sun City and Lake City Road to Lake City. The Red Hills area has interesting geology with many sink holes, over 100 caves that have formed in the gypsum, and several collapsed natural bridges. To the far west edge of the region, Big Basin Prairie Preserve in Clark County is a National Natural Landmark. The Big Basin is a natural, 100 feet deep circular, crater like depression about a mile in diameter. The preserve also contains buffalo herds and Little Basin which surrounds St. Jacob's Well, a natural sinkhole with a permanent, spring fed pool of water.